As a parent, I know it can be all too tempting to entertain your child with screen time. 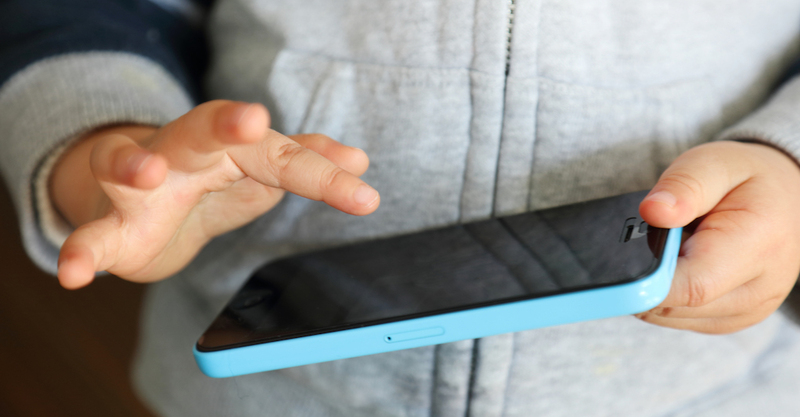 Whether you’re out running errands or trying to make dinner, the silence that comes over young children when they’re staring at screens seems like an easy fix to help keep moms and dads from going insane. But as an early childhood specialist, I shudder thinking about how often parents may resort to this tactic. It’s widely known that children shouldn’t spend too much time in front of a screen, but how much is too much? The American Academy of Pediatrics recommends limiting screen time to a total of 60 minutes per day for children ages 2 to 5 and avoiding screen time (aside from video chatting) for children under 18 months. A child’s first five years are the most crucial for brain development. Young children need touch, interaction and real-world stimulation from people and three-dimensional objects. It’s helpful to have entertainment tactics that fall into these categories in your back pocket, even if your child gets under the recommended amount of screen time! Arts and Crafts: “To keep my toddler entertained when we are out to eat, I always bring stickers, paper and a pen,” says Liz, mom of one. “Most restaurants will give crayons, but they inevitably fall on the floor throughout the meal. A pen usually stays in her hand, and stickers will keep her busy for hours.” Have a bin full of age-appropriate art supplies, like construction paper and crayons. You can also include fun items like popsicle sticks, pipe cleaners or crepe paper streamers. Encourage creativity! Kinesthetic Items: Squishy balls, blocks, puzzles or other items that are designed for toddlers and can be manipulated are both entertaining and helpful to your child’s growth and development. Pop-up Books: While the movement, bright colors and sounds of screen games appeal to toddlers, three-dimensional books with flaps or pop-ups will engage your child in a similar way and nurture his literacy skills. Play Dough: Rolling, patting, smashing and squeezing play dough helps children develop hand-eye coordination and tactile exploration. Click here for more age-appropriate sensory activities. Cooking Together: When you are preparing dinner, instead of handing your preschooler a tablet, assign him an age-appropriate task in the kitchen. Invite him to help mix, pour and stir. This is a great opportunity to talk about health and nutrition while making memories. Sorting Tasks: You’ll need two containers (laundry baskets or bins will do) and a mix of different sized or colored items, such as balls or socks. Invite your little one to sort the items into the two containers. This is a great way to keep your child engaged when you need to do some housework. Want to learn more about the screen time and its effects on child development? Check out this resource round-up. Cauliflower is low in calories, yet high in many nutrients and antioxidants. So why not jump on the bandwagon? 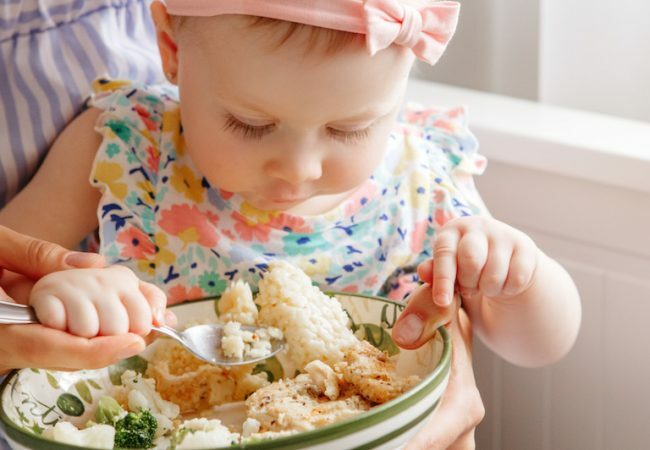 Here are some fun ways to add cauliflower to your family’s diet. 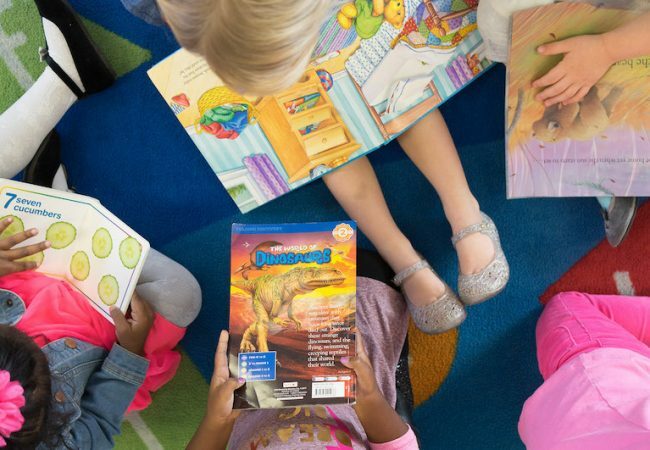 Read Across America Day 2019 is March 2! At Primrose, we also use this special day as an opportunity to give back and to support literacy in children everywhere through our Og’s Bountiful Book Drive.